(November 26, 2015)- The 2015 Cape Coral Police Department "Holiday Heroes" Food Drive Collected over 5,000 pounds of canned food to benefit the Harry Chapin Food Bank of Southwest Florida, almost doubling donations over last year! 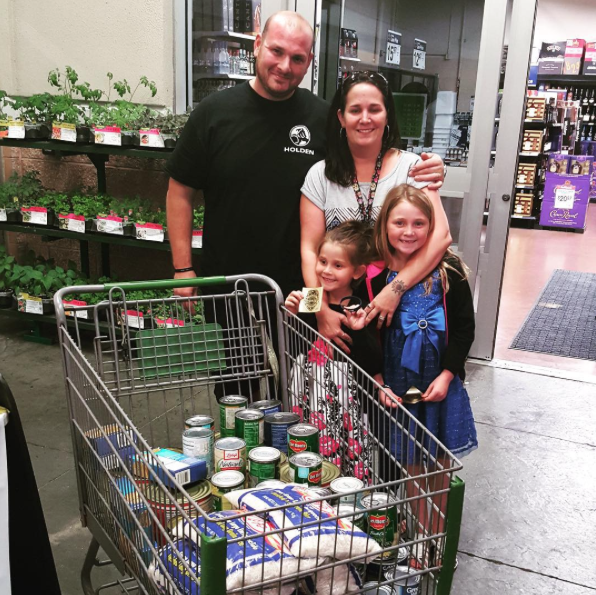 On November 12, 2015, the Cape Coral Police Department set up two locations within the City of Cape Coral as collection sites for canned foods- the Wal-Mart Neighborhood Market on Pine Island Road and the Wal-Mart on Del Prado Boulevard. Thanks to the partnership between the Cape Coral Police Department, our community, and the Harry Chapin Food Bank, we successfully collected over two and a half tons of canned food. "So, the tables have turned, not just for the two locations but for those who will now be able to gather for a meal. We truly appreciate your commitment to serving our SWFL neighbors in need. Your team is making a difference for the single mom between food stamps, for the family who has to choose between paying the bills or paying for nutritious food and the senior who will now be able to pay for medicine and not have to worry if they will eat. "- Sam Kelly, Social Media & Online Services Coordinator for the Harry Chapin Food Bank. Thank you to everyone who participated in making this event a success.